Conservative religious leaders have a long track record of hyping supposed threats to religious liberty in America — specifically, to the religious liberty of conservative Christians. In fact, portraying Christians as a persecuted minority under siege by anti-freedom LGBT activists and secular humanists has become the right’s primary strategy for reversing the advance of equality in America. But even in the long context of crying wolf over threats to religious freedom, Sen. Ted Cruz and his religious right allies have set new records for dishonest hype in their response to this week’s controversy over subpoenas sent to a few religious leaders in Houston. 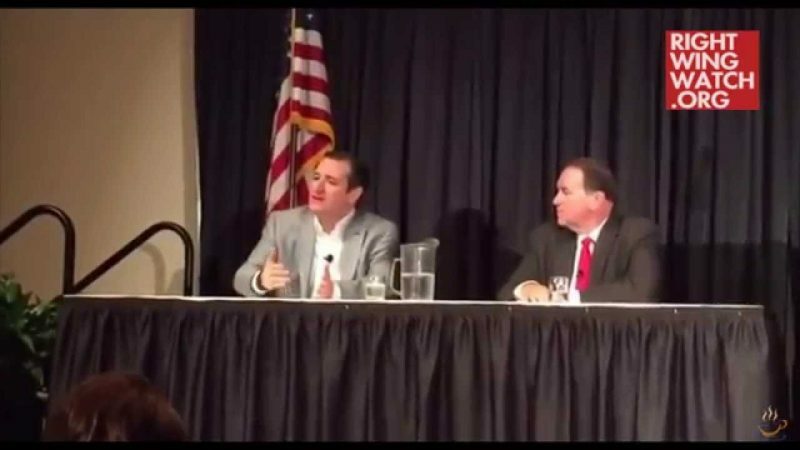 Cruz told the Christian Broadcasting Network’s David Brody that there is a “real risk” that preachers will be hauled off to jail for preaching against homosexuality, recycling an old and equally ludicrous charge that hate crimes laws would result in pastors being dragged from the pulpit. Some in the media ridicule that threat saying there is no danger of the government coming after pastors. That is the usual response.” But he adds: “The specter of government trying to determine if what pastors preach from the pulpit meets with the policy views or political correctness of the governing authorities, that prospect is real and happening now. As exciting as it is to hear the alarm bells and read the hyperventilating emails, the truth is far less dramatic. 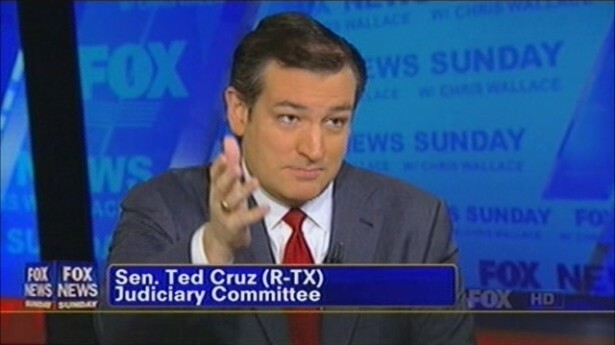 Sorry, Sen. Cruz, but the government is not policing sermons for political correctness. It’s not going to start tossing anti-gay preachers in jail. The immediate cause of the ruckus was a subpoena sent by attorneys for the city of Houston to several pastors who had been active in opposition to the city’s new anti-discrimination law. Conservatives ran a signature-gathering campaign to put the law before the voters, but city attorneys ruled that so many of the signatures were not valid that the effort did not qualify for the ballot. The Alliance Defense Fund, a Religious Right law firm, stepped in and sued the city over that decision. As part of the discovery process in the lawsuit, attorneys for the city sent subpoenas to five prominent pastors asking for sermons and other communications they had about the ordinance, the signature gathering effort, and the controversy over homosexuality and gender identity. Here’s the problem. The subpoena was sent to pastors who are not party to the lawsuit, and it asked for some materials that do not seem directly relevant to the determination of whether signatures were collected in accordance with the law. By giving pundits something to scream about, the subpoena was a gift to Religious Right leaders and their political allies, who thrive on promoting the myth of anti-Christian religious persecution in the U.S. And they have run with it. On Friday the city narrowed the scope of their discovery request somewhat. And it’s entirely possible that a judge will further limit the amount of materials the city can collect in the Religious Right’s lawsuit. That’s how our legal system works. It’s terribly inconvenient to the Religious Right’s narrative that progressive religious leaders are among those who have criticized the Houston attorneys’ subpoena. Among those who criticized the city’s subpoena as troubling and overly intrusive were supporters of LGBT equality and church-state separation. Baptists of all stripes weighed in. Both progressive religious leaders and atheists publicly agreed. Even the ACLU! So much for the supposed enemies of religious freedom. Even some religious conservatives have denounced the Houston hype. In reality, the entire episode undermines right-wing claims that religious liberty is hanging by a thread in America. Indeed, it demonstrates that Religious liberty is widely respected as a core constitutional principle and a fundamental American value — by people across the religious landscape and our fractured political spectrum. If only Ted Cruz and his allies were as committed to the constitutional and legal equality of Houston’s, and America’s, LGBT citizens.